Review: 2012-01-20, nice KO in the first round between Pat Barry and Christian Morecraft: three stars (UFC Fight of the Night). Pat Barry (6-4-0) entered as the No.64 heavyweight in the world while Christian Morecraft (7-2-0) entered as the No.93. 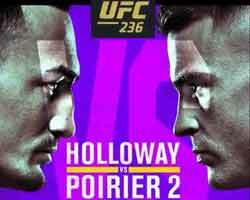 Barry vs Morecraft is on the undercard of Guillard vs Miller (UFC on FX). Watch the video!